In South Africa there are now more captive lions than wild ones, many of these animals are reared specifically to be shot and owned by wealthy tourists from Europe and North America!!! This lions are borned,reared,and killed just for fun.This cruelty must stop.Every creature in this planet have rights!! 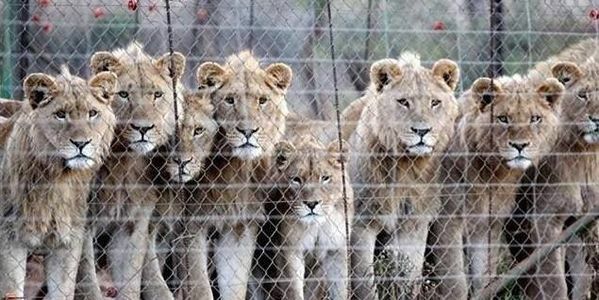 !We need your help to close this 'canned hunting' industry. There are estimated to be more than 1,000 canned hunting operations in the USA, while according to a recent report nearly 54,000 animals were killed in 2004 in South African canned hunts. Hunters from Britain, the United States, Germany, Spain and France will pay many thousands of pounds to shoot a lion, leopard or other animal. Canned hunting operations refer to the hunting of captive animals that are trapped within enclosures and have little chance of escape. Some canned hunt operations have recently begun to allow their clients to hunt these trapped animals remotely via the internet. This wild animals are borned,reared,and killed just for fun!! !This actions are illegally and their target is the profit!! !It's a shame for those countries to kill the most important part of them WILD LIFE just for entertainment. Thank you for signing this urgent petition!SIGN & SHARE to your friends really helps!!! Thank you for signing this urgent petition!! !Please SHARE with your friends it really helps. Thank you for signing this urgent petition.Please share it with friends it really helps!! !